7 Seas Brewery & Tap Room, Tacoma. our first stop for food was between the airport and olympic national park. we were a little tired and really hungry, and stopped at 7 seas brewery and tap room on our way. we really went for 3UILT, where we ordered some amazing sandwiches and super fresh oysters, but getting to try some really tasty local brews in a cool space didn't hurt! the de la paz: roast pork loin, salumi mole salami, fresh pineapple chutney, roasted garlic aioli, idiazabal sheep cheese, grilled on ciabatta. stonehenge: ny style pastrami, spiced beecher's cheese curds & sacred sauce, grilled on sliced giuseppe bread. a dozen fresh shucked oysters. Kalaloch Lodge, Olympic National Park. 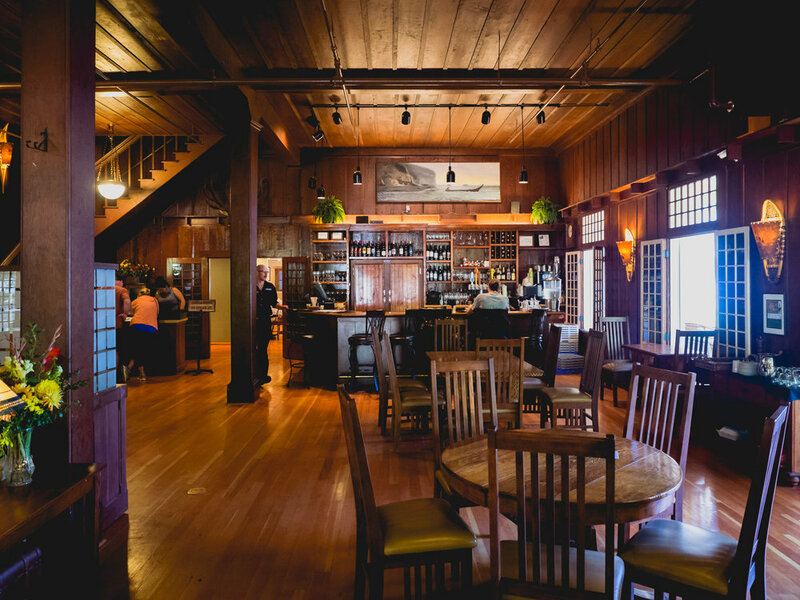 when we stayed at kalaloch lodge, we also had dinner and breakfast there! we capitalized on being in the pacific northwest by eating lots of seafood! and the local root beer and ice cream float was soooooo good. dungeness crab cakes, smoked jalapeno aioli. fish and chips: bar hop ale battered pacific cod, citrus tartar sauce, coleslaw, french fries. curry clams: manila clams, curry coconut broth, basil, cilantro, grilled garlic bread (not pictured). root beer float: snoqualmie root beer on tap, snoqualmie danish vanilla ice cream. lodge breakfast: two eggs, hash browns, bacon, english muffin; buttermilk sourdough pancakes, side of chicken apple sausage. the bar inside crescent lake lodge. jumbo chicken wings with buffalo sauce. sazerac: bulleit rye, house syrup, absinthe rinse, angostura bitters & peychauds bitters. we also stayed at crescent lake lodge inside the park. we arrived early one afternoon and ordered wings and cocktails from the bar to enjoy in the sun room with a view of the lake. our dinner there was definitely the most high end of the entire trip, and quite good. i didn't love the razor clams (too much sauce and too little clams!) but everything else was quite good and the addition of salmon roe with the scallop pasta was a nice touch. 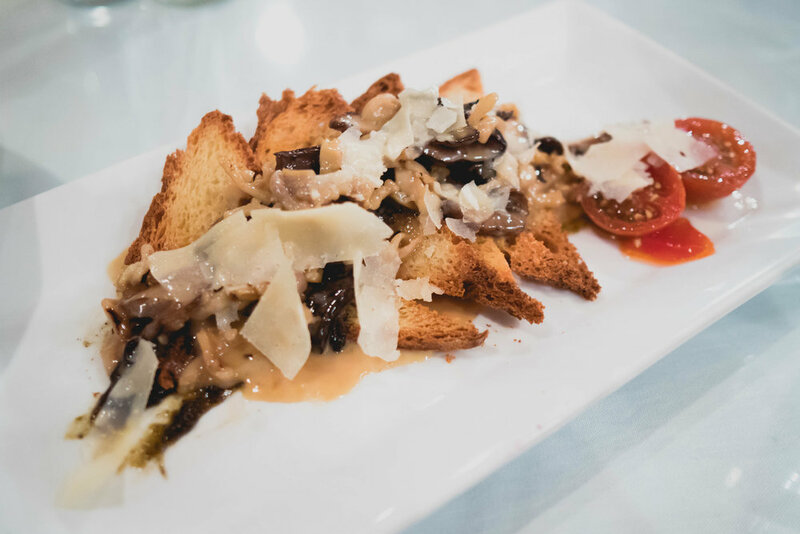 razor clams, washington mushrooms, green onion marmalade, tomatoes, thyme buerre blanc, crostini. 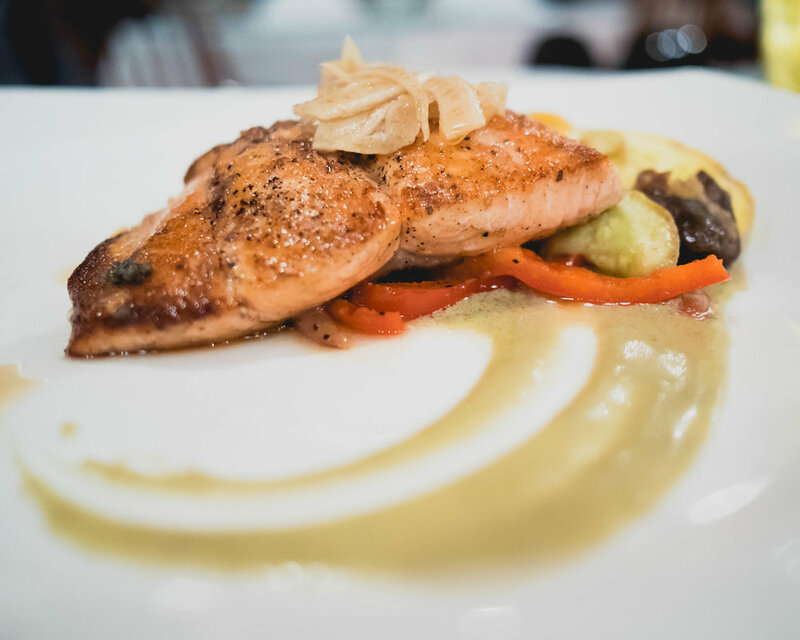 7oz seared local wild salmon, fava beans, petite vegetables, pickled fennel, artichoke puree, paddlefish caviar. scallop capellini: alaskan weathervane scallops, parsley bechamel, salmon roe, parmigiana reggiano. 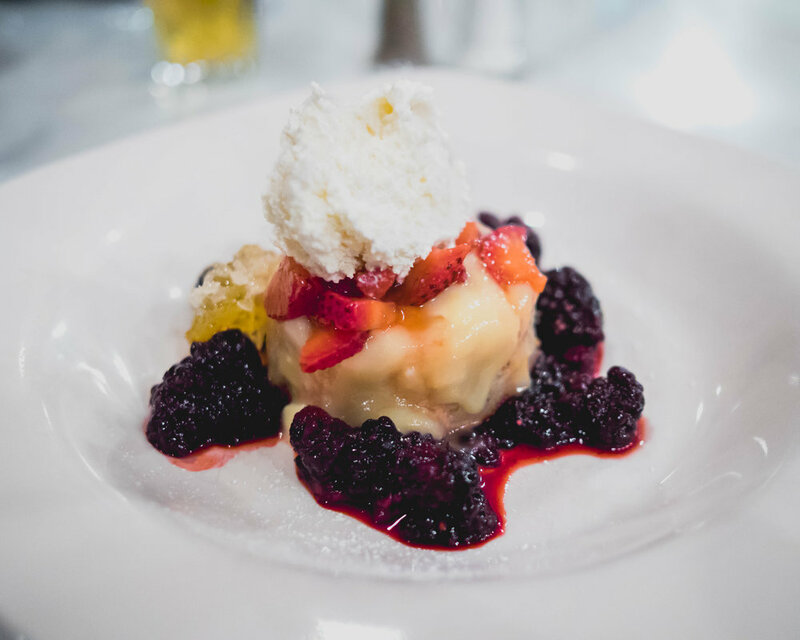 house made strawberry lavender shortcake: lemon curd, lavender shortbread, honey comb, washington berry reduction, chantilly. First Street Haven, Port Angeles. one last spot i wanted to mention was first street haven in port angeles. it was a cute little diner in the cute little downtown area and their breakfasts are big and hearty. they make their own baked goods in house and i had read that their cinnamon rolls are amazing, but they had already sold out when we got there! next time..
breakfast special: two eggs, bacon, hash browns, english muffin. quiche with hash browns and toast.